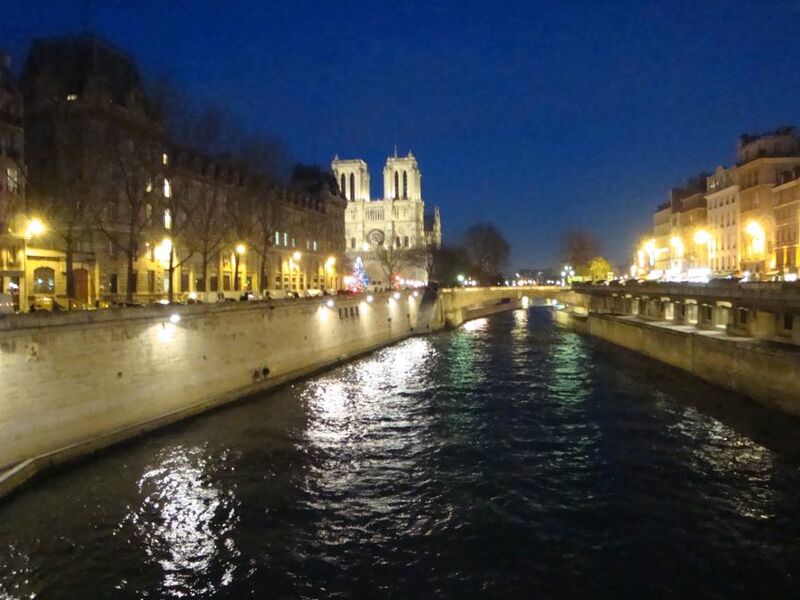 While it's common knowledge that the Notre Dame Cathedral is the technical epicenter of Paris, the real essence of the city is captured by the river Seine. Almost any city situated near water is changed by that relationship between the static and the constantly moving. On a metaphysical level, the water is a type of mirror in which the city finds its own reflection. For centuries, poets, painters, philosophers, novelists, architects, lovers, suicides, and finally, tourists, have understood this powerful attraction. 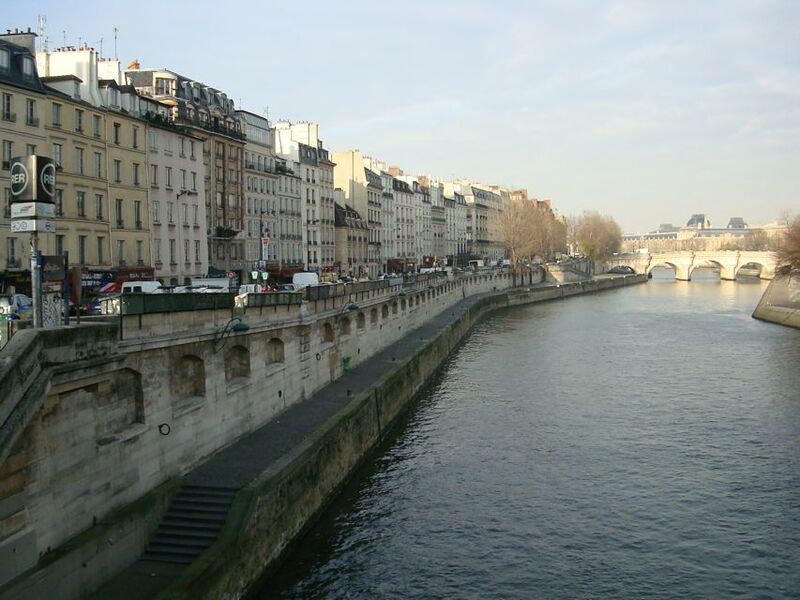 The river Seine flows right through the heart of Paris bordering 10 of the 20 arrondisements. It was no accident that the city evolved around this gigantic avenue for commerce and transportation, or that the early Parisi tribes on the river's island were attacked and overthrown by the Romans. This early coup took place on what was later to become some very prime real estate. At that time the river was called by it's Latin name: Sequana. The river is still the chief commercial waterway and half of the water used in Paris still comes form the Seine. Don't think about that when you look at the sick green water flowing under the bridge, or when your waiter brings you a glass of tap water. Tourists are often confused about the terms "right bank" and "left bank" and spend hours on street corners with crumpled maps trying to orient themselves and figure out which side of the riverbank they are standing on. The system is very simple and was devised because the river's curvy nature often does make orientation difficult. The trick is to remember when you face DOWNRIVER the left bank is on your left and the right bank is on your right. If you can't tell left from right at this point you should not be traveling alone. If you can't figure out which way the water is flowing (don't look at the boats, they go upstream too!) drop a potato chip or look for some debris and see which way it's floating. Then you will be able to make it to the Café Les Deux Magots on time, and not end up at La Defense. There are 32 bridges on the river in Paris, some of them more impressive than others. 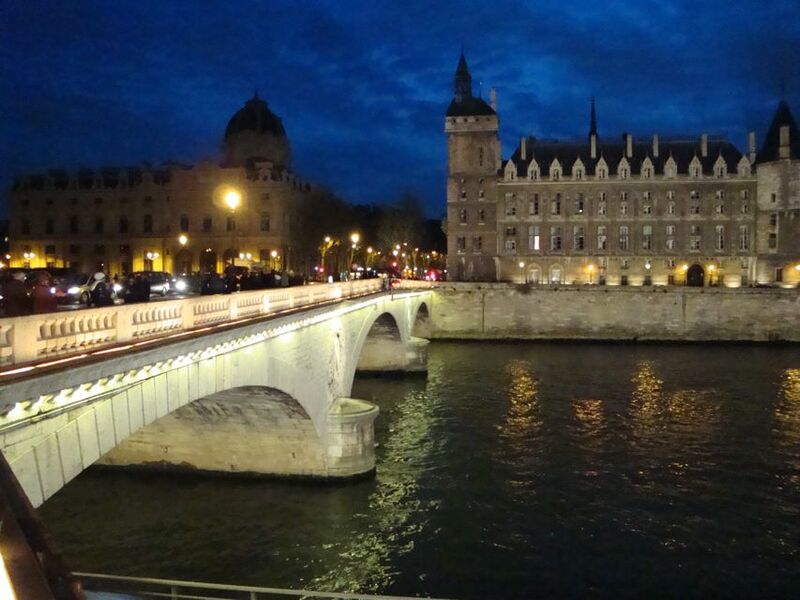 The Oldest bridge is the Pont Neuf which has been immortalized by artists and poets and even 20th century films. (see The Lovers of the Pont Neuf) There is a beautiful little island crossed by the bridge which the riverboat tours now use as a docking station. In the spring or summer it's a wonderful place to hang out on a bench under the willow trees, or sunbathe on the slanted stone embankments near the tended gardens in its center. To get there, simply make your way toward the equestrian statue of Henri V and find the steps leading down toward the docks. If you are the kind of person who likes watching boats this is a great spot. Actually it is one of the nicest places to hang out in all of Paris. Beyond the mere technical facts surrounding the river and its environs is a deeper and more inexplicable attraction. The water speaks to us of a past we will never experience but nevertheless find ourselves linked to by association. Staring at the murky river from a cold bridge in a Parisian winter it is impossible not to think of Paul Celan, the tormented poet of the holocaust, who plunged to his death in those same waters, or the less known victims of French revolution when hundreds of bodies were dredged from the depths, or simply the unnamed and uncelebrated who also met their ends at the river bottom. This is not to say the river represents a cult of death, but it's interesting to conceive of it as part of the full cycle of life. Great triumphs and great tragedies have occurred near the river which less aware tourists view as the background to their photo collection. Note: The BATOBUS sails up and down the seine from the Eiffel Tower to the Institute Du Monda Arabe with stops along the main attractions. It works just like bus service which you can hop on and off. You can buy a day pass or a two day pass and use it to travel up and down the river at your pleasure. The boats are nice too--- wooden decks and glass walls and roof. Do you enjoy using my site? Have you found it entertaining as well as useful? If so please show your appreciation by booking hotels through the links found on my Hotels Page. The small comission I make on the bookings enable me to keep working and in most cases you won't find them any cheaper by searching elsewhere. You can also book at Booking.com's Paris Page and they give me a small percentage on each booking.